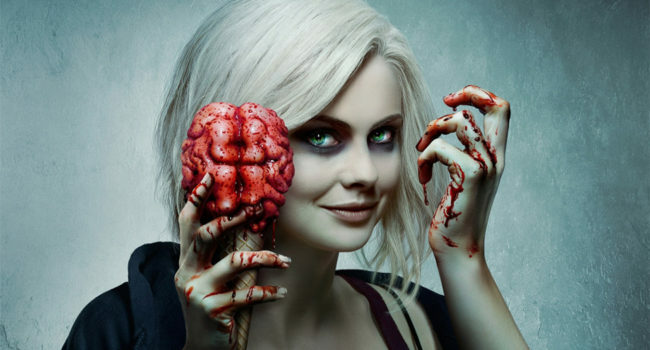 Olivia “Liv” Moore (Rose McIver) is the main protagonist of the comic and CW TV series iZombie. She is a medical resident who was scratched by a zombie on a disastrous boat party and woke up as a zombie. She uses her powers of absorption of memories of eaten brains to solve murders.